Coach Webster is in his 28th season of baseball, his 26th season as a high school head coach and his first season as head coach at Grapevine High School. 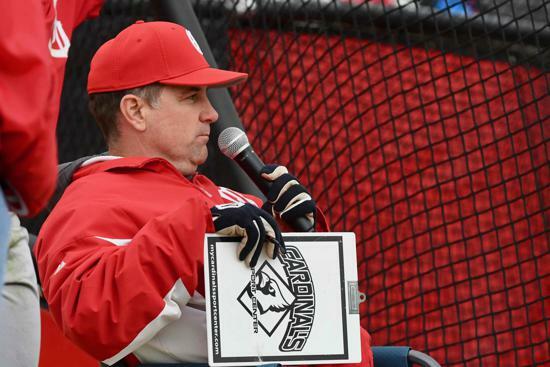 He also spent two years as the director of baseball operations and interim infield coach for Texas Tech University. In addition to his baseball work, Coach Webster is the assistant cross country coach and a Pre-AP World Geography teacher at GHS. Coach Webster comes to Grapevine from Denton, TX, High School, where he led the Broncos to the postseason. Prior to Denton, he spent time as the head baseball coach at Odessa Permian High School, Plainview High School, Lubbock Coronado High School, Lubbock High School, Devine High School and Floydada High School. During his 26 years of high school coaching, Webster has collected more than 400 wins and led 15 teams to the postseason. He has been named district coach of the year eight times, Greater West Texas all-star baseball coach four times, Lubbock Avalanche Journal South Plains Coach of the Year twice and named Teacher of the Month twice. He has also served as the Region I Director of the Texas High School Baseball Coaches Association. Coach Webster played high school baseball at Lubbock Monterey for legendary Hall of Fame coach Bobby Moegle – the winningest high school baseball coach in the nation. Webster was a member of teams that made consecutive trips to the state tournament in 1984 and 1985. He played collegiately at Lubbock Christian University and Texas Tech University for Hall of Fame coach Larry Hays. Coach Webster is married to Kelly, also a teacher in GCISD at Dove Elementary. They have two daughters, Tyler – who is married to Stewart MacDonnell – and Sydney – who is engaged to Lennard Hansen. Over the years, Coach Webster has coordinated various charity events that have raised over $25,000 for the American Cancer Society, Make-a-Wish Foundation and the Challenger Baseball League. Contact Coach Webster at james.webster@gcisd.net. Coach Blackwell is in third year as a high school coach, his first at Grapevine High School. He will serve as the assistant varsity coach for the Mustangs. In addition to the baseball work, he is an assistant coach for the GHS golf teams and teaches Geometry and Algebra II. 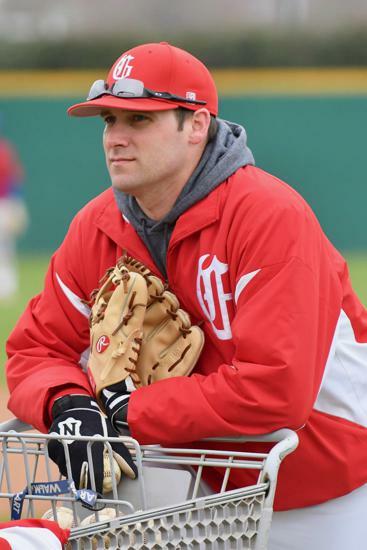 He came to GHS from Clear Brook High School in Friendswood, TX, where he was an assistant coach for the football and baseball programs, helping both teams reach postseason play in 2016. Coach Mooney, who has coached in GCISD for 21 years, is in his 13th year with the Mustang Baseball Program and is the JV Red Head Coach. During his 21 years in GCISD, he has spent 15 years as the athletic coordinator at Cross Timbers Middle School, where he coaches football, cross country and track. He and his wife, Daiann (also an employee of GCISD), have been married for 23 years and have two children – Kyler, a senior at GHS, and Madison, an eighth grader at Cross Timbers Middle School. Coach Mooney and his family love the game of baseball and are blessed to have the opportunity to be a part of the Mustang baseball family. Coach Dillard is in his eighth year as a high school coach and his third year at Grapevine High School. For the second year, he is the JV Blue Head Coach. In addition to his baseball work, he is an assistant varsity football coach, head freshman football coach and teaches World History. He came to GHS from Salado, TX, High School, where he was an assistant coach for the 2016 4A state runner-up baseball team. Coach Dillard attended Poteet High School in Mesquite, TX, where he played football and baseball. He graduated from Texas A&M University with a bachelor of science degree in health and kinesiology. While at A&M, he was a member of the Corps of Cadets, played on the Corps baseball team and coached the Corps baseball team during his junior and senior years. He and his wife, Jenny, have been married for 7 years and have a daughter, Kylee (3). Coach Conway is in his fifth year of high school teaching and coaching, his first year at Grapevine High School. He will coach the freshman baseball team this spring. In addition to baseball, he coaches the linebackers for the varsity football team and teaches Economics. He came to Grapevine from McKinney, TX, High School, where he coached football and baseball, helping the baseball team to the playoffs once in two years. Prior to McKinney, he coached football and baseball at Aransas Pass High School for two years, also making postseason baseball play. Coach Conway grew up in Rockport, Texas and attended Mountain View Community College, where he played baseball for two years. He then attended Texas State University. He and his wife, Haley, have a son, Cooper (2).